There are two perspectives of looking at the design. First, how it looks like and second what it feels like. The first one is concerned with the positioning of design elements (buttons, images, icons and other visual elements) to give the interface a neat and attractive look. In other words, the user interface is the beautification of the software to hide the plainness of the back end programming. On the other hand, the systematic setting and arrangement of those elements that allows improved usability and ease of understanding the program flow is part of the user experience process. These two terms are used interchangeably and often misused by both tech and non-tech people. UI and UX are the essentials of front-end development that attracts the user towards the software application while at the same time making them aware of the functionalities in the simplest possible manner. They can make the most boring aspect of a site to look exciting and interesting. Here in this blog, we will analyze the two terms in their separate dimensions and their individualist qualities that set them apart and yet unique in the world of web designing. A user interface in its true essence is just a collection of graphics that will enhance the appeal of your product through its beautiful aesthetics and ease of use. From the landing page menu to the checkout page (in the case of an e-commerce website) every component that a user interacts with in the process is part of the user interface design. The layout is set on the fundamental principle of minimizing any complications that a user may face during the time it uses the site/application which comes from the understanding of the end user. 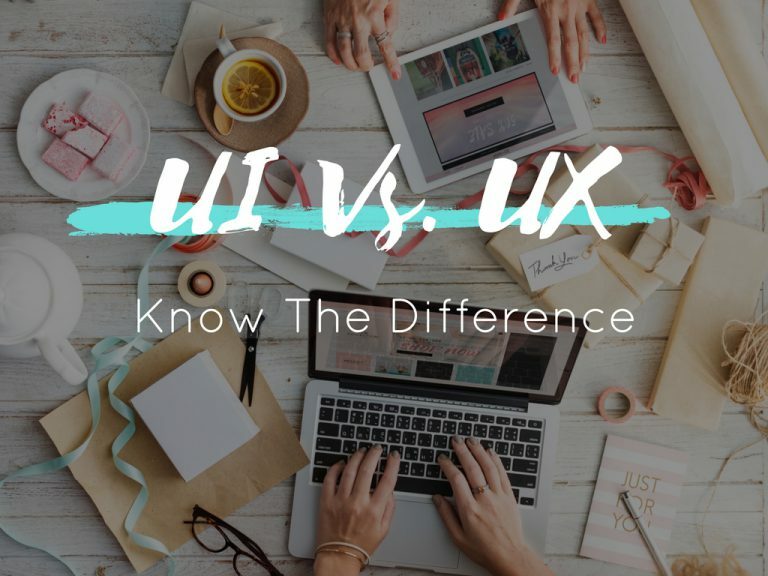 To be able to design a good user interface, the designer must be able to think like a user and comprehend the manner in which it normally browses through a site. If the simplest of tasks takes an unnecessary amount of time to complete, then the web design fails to accomplish its goal of usability. “A user interface is a joke. If you have to explain it, it’s not that good”. Looking at the example of Google website, you witness UI at its finest. The design is so simple and straightforward that there is nothing to explain. With just a logo, search bar, and maximum two buttons, a user from a beginner to an expert will easily understand its working, and that is exactly the goal every UI designer must target to achieve. As the user navigates through your site, it will be either left with a feeling of wanting to come back for more or the remorse over the moment that it clicked the button to your web page. Looking back at the example of Google website, imagine if the site failed to respond to the asked query or took more than 10 seconds to load the answer. The site regardless of the good interface design would have made the user frustrated and dissatisfied with the performance. User experience is the discipline of keeping the end user happy and engaged while at the same time ensuring that it improves the overall pleasure of interaction between the user and the product. For a UX designer, the goal is more than building an easy to use interface. They practically have to design experiences through the correct collection and combinations of design principles. The user interface is just one aspect of the user experience where an UI designer focuses on the tangibility of the elements; the UX designer will be concerned with the logical aspect of the design process. For any project to achieve the desired results from the design perspective, the designer must relentlessly focus on every detail. If UI is the car you drive, UX is the engine that drives it. Both are equally essential for a product’s success and dependable upon each other. Good user interface followed by a good experience will increase customer satisfaction, generate more sales for your business and create loyal customers who will yearn to return to your site.